This time around, I’m talking with Amanda Sebra. She is a mother diagnosed with Asperger’s Disorder who also has a child. She is also a member of Fans For Christ. 1. At what age did you learn you were autistic? 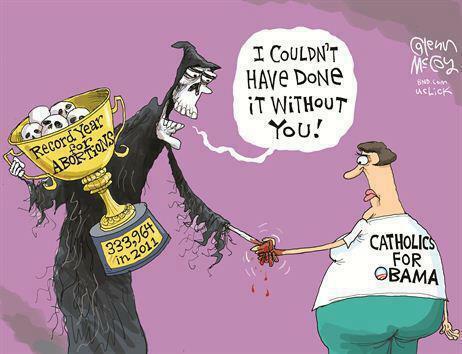 Raised Catholic I consider myself Fans For Christ now. Single mom. Lived with mom and grandparents in home owned by grandparents until age of 14. Grandparents ran a foster home for teenage girls until 1994. After 1994 lived with mom and stepfather. 5. I once signed up for a forum for autistic people called Wrong Planet and found it to be a place that was not only mostly atheist, but also opposed to Christianity. Why do you think some autistic people have an opposition to the Christian faith? I think most aspies had a bad experience in the past with the church that “left a bad taste in their mouth” that they sworn off Christianity altogether. Also the social aspect can be hard to handle. 6. When did you find out your son had Asperger’s? About 3 years ago when I and his great grandmother had concerns over being non verbal and his lack of fine motor skills. 7. Is there anyone in your life who inspires you to be a better person? If so, who and why? Liane Holliday Willey or Rudy Simone, 2 female aspies whose books are very helpful and hit a bit close to home. 8. Do you have a favorite Biblical passage? Why? I can’t think of a specific passage but I remember studying and memorizing Esther for Bible Quizzing. Esther 4:16 where she fasts and prays then goes to speak to the king which could equal the death penalty for a woman in those times stuck with me. 9. What advice would you give to other autistic people or parents of autistic children? Parents always make a little time for yourself, even if its 5 minutes alone in the bathroom. Fifty years. I can’t believe Doctor Who has been around that long. So, to celebrate the 50th anniversary of my all-time favorite Sci-fi show, I’m going to start a monthly miniseries looking at each era of the show. So, why not start with the man who started it all. William Hartnell was the son of Lucy Hartnell, but never discovered his father, despite efforts to locate him. He started out as an actor in 1928 in the play Miss Elizabeth’s Prisoner, where he met his wife, Heather McIntyre. His first movie was Say it With Music. Most of his roles were either comic characters or “tough guys”. It was his role in This Sporting Life in 1932 that made Doctor Who’s first producer and creator Verity Lambert consider him for the role of the Doctor. 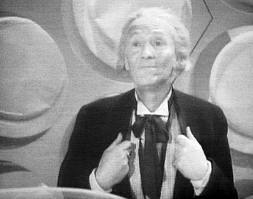 Hartnell agreed to the role because he felt typecast and enjoyed the prospect of working on a children’s show. Hartnell had also suffered from atherosclerosis, often causing him to forget his lines. Another interesting thing to note is that many of the elements we’re used to with the First Doctor weren’t established until other ones came along, such as the sonic screwdriver and his alien origins. Not long after he left the show, he retired from acting, but in 1973, returned to the role of the First Doctor for what would be his final acting role in the Doctor Who story “The Three Doctors”. He died in 1975. The Hartnell era is not something I enjoy. Don’t get me wrong, I did enjoy the episodes I watched from it. But its experimental nature threw me off, as well as Hartnell’s portrayal. I’m used to a more lively version of the Doctor, not a grumpy old man. I see Susan as wasted potential. All she did was scream and act stupid. They could’ve done so much better. After all, she was the Doctor’s daughter. Think of the possibilities. Of these two, I like Barbara best. In fact, she’s my favorite companion from this era. She has undaunting courage and I like how she was the first companion to challenge the Doctor (in “The Aztecs”). Ian is great comedy relief and I love the chemistry he has with the Doctor. In the Sarah Jane Adventures episode “Death of the Doctor”, we learn that Barbara and Ian are not only happily married, but also immortal. In a way, Vicki is a substitute for Susan. And just about as annoying too. There’s really nothing about this character to like, in my opinion. Steven is my second favorite companion from this era. He does a great job at providing the action and I like his sense of morality. Heck, anyone who can put up with Vicki and Dodo has to have a good temper! All I know about Katarina is that she is the first companion to die. All her stories have at least one missing part. Another character I know little about. I do know she’s supposed to be from the year 4000. I HATE Dodo. She’s such an idiot. Worst companion ever! I know nothing of these two. The only story I’ve seen is the only one that is completely intact: “The War Machines”. In the Sarah Jane Adventures episode “Death of the Doctor”, it’s stated that they now run an orphanage. The Daleks actually succeed in conquering a parallel Earth, but a small resistance is fighting back. This marks the departure of Susan, and I still think it’s one of the show’s most heartwarming moments. The Doctor meets the Meddling Monk, a rogue time traveler with his own TARDIS. The story is a great battle of wits and I enjoyed the twist ending. This is one of Dodo’s stories. The worst thing about it is that the whole story could have been avoided if Dodo had done the sensible thing and stayed in the TARDIS until she got over her cold. That’s right, Dodo makes a whole colony of humans and aliens sick because they don’t have good immune systems anymore. See why I hate this character? 1. Many of the same themes in Lord of the Rings and The Chronicles of Narnia are explored in Harry Potter as well. 2. Lewis and Tolkien used magic in their environments, as do Harry Potter books. So why give them a free pass. 3. The people with these opinions refuse to acknowledge that JK Rowling has said she believes in God, not magic. Thus, she is obviously not promoting what they claim. And they assume that she isn’t a Christian writer, which is also wrong. In fact, thanks to them, she’s had even more doubts about her path. When I heard all this, I knew what my position was even before I first opened Harry Potter and the Sorcerer’s Stone. I was already on Rowling’s side. Now all I needed was proof to refute the claims. So I read the books to get the proof I needed. The book also continues Rowling’s attempts to teach us lessons. The first of these is illustrated in the introduction of Remus Lupin, another old friend of Harry’s father. He teaches Harry to create a patronus, which becomes an important plot point in future books. A patronus is a “spirit animal” that protects wizards from evil. But we also learn that he is a werewolf. I actually figured this out before the reveal. It’s all in his name: Lupin is French for wolf. At first, Hermione is fearful of Lupin when she finds out and even forgets how kind he was to them. In a way, this is teaching us about prejudice. Yes, Lupin is a werewolf, but he’s nothing like the werewolves we normally see. He’s far from menacing. In fact, for him, the wolf form is like a curse–he’s constantly having Snape mix potions to curb the wolf. Sirius Black also shows us the danger of scandal. Because of the allegations surrounding Black, it’s assumed that he is a threat to Harry. Harry even fearlessly says he will fight him even if it means he will die. But he learns that he has nothing to fear from him. Black even becomes his ally. I actually hoped that Potter would go to live with him instead of the Dursleys. But on a repeated reading, I realized why this would not work. Black is on the run. The Dursleys are a terrible family for Harry, but at least they offer stability. And it’s safer, for the most part. 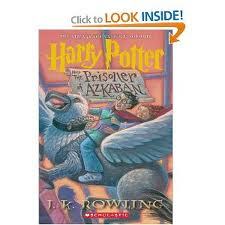 The Prisoner of Azkaban is an excellent read. I truly wish more detractors would read the books and form their opinions based on the books themselves, not allegations. On Friday, December 16 of last year, Adam Lanza shot twenty students and six teachers in Newtown, Connecticut at Sandy Hook Elementary. I heard about this on the day of the shooting. At lunch, my dad and I were at a restaurant when the TV news played a bulletin. As I watched, I remembered another school shooting at Virginia Tech several years before. At that time, my cousin John was attending the university. I remembered the anxiety I felt when I heard about it. And then remembered the relief I felt when I learned my cousin was not among the victims. I felt sad for the families of the victims of Sandy Hook. I promised myself that night I would pray for them, that God would comfort them as they grieved. When I came home, I started watching anime on the computer for upcoming reviews on my anime blog, Lobster Quadrille. My mom got a call from my cousin Karla. She told me there were rumors that Lanza had Asperger’s Syndrome. The media was using the same strategy they always used for things like this: find a scapegoat–guns, video games, whatever. Karla suggested I post on Facebook about the shooting and that she’d share it. The next day, I followed her advice. I’m a member of four Facebook groups representing autism and Asperger’s. Many of the posts from these groups were related to the shooting and how it was affecting people like myself and those who knew them. I learned how autistic children were being bullied because of the shooting. I learned that their parents were concerned about the stigma they received from their peers. I even learned, to my disgust, that there was even a Facebook group called “50 Likes and We Set an Autistic Kid on Fire.” (the site’s been taken down, thankfully) Thautcast (an autism blog) even asked parents to post how much they love their autistic children. It felt so good to read those posts. One of my Facebook friends told me I should not be angry. But I am angry because the media is focusing on Lanza’s Asperger’s.